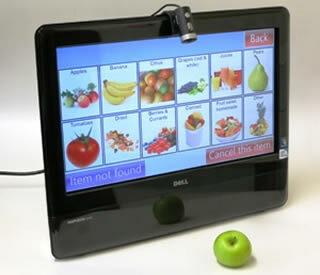 Engineers from Reading University (Berkshire, England) have helped to create a touchscreen computer to detect malnutrition in older adults. Good nutrition and consuming a balanced diet is important for everyone. Although malnutrition can affect people of any age, in the UK older adults are particularly affected, with 1 in 3 who live independently considered to be at risk*1. Identifying people at risk of malnutrition has been difficult because due to the lack of a convenient way to monitor what people eat and drink in their own homes. NANA (Novel Assessment of Nutrition and Ageing) is the result of a three-year project to develop a simple and easy to use system for measuring diet, cognition, mood, and physical function. Users - older people - can tell the computer system what they're eating and drinking and take pictures of their meals before and after they eat to maintain a record of what they're consuming. 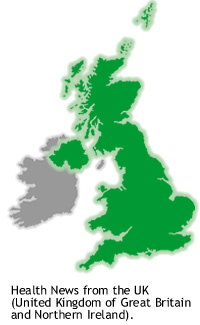 It has been developed by a team of academics from several UK universities including St Andrews, Sheffield, Bath and Reading, together with input from 400 older adults across the UK. Researchers at Reading University led the technical design and development of the NANA software, which older adults have found easy to use and which provides high quality data for research. Reading was also heavily involved in the development of NANA's custom-made dynamometer, a tool that allows users to measure their own grip strength, providing vital information on their overall health. Malnutrition is not confined to older people at home. Reports suggest that more than half of hospital patients do not eat the full meal provided*2 and up to 30% of nursing home residents may not finish their lunch*3. The NANA system, which measures what older adults are eating at home and supports research into malnutrition, was showcased at an event at the Houses of Parliament last week. Sir Menzies Campbell MP, the former Liberal Democrat leader and campaigner on better care for older people, hosted the reception at Westminster which was co-organised by Dr Faustina Hwang, from the University of Reading's School of Systems Engineering.
" Malnutrition is a major health concern in our ageing population, and has a significant impact on quality of life. _ We've worked closely with older people to develop this system which is both easy to use and provides crucial information to help us better understand the factors affecting malnutrition." The homecare provider Sanctuary Care, which looks after people in their own homes, plans to use this new system. The group's managing director Steve Wood said NANA would be a 'vital tool' for staff to ensure people in their care were eating well. *2 Hiesmayr M, Schindler K, Pernicka E, et al. Decreased food intake is a risk factor for mortality in hospitalised patients: the NutritionDay survey 2006. Clin Nutr 2009;28:484-91. *3 Valentini L, Schindler K, Schlaffer R, et al. The first NutritionDay in nursing homes: participation may improve malnutrition awareness. Clin Nutr 2009;28:109-16. News is included on the IvyRose website to inform visitors about current health issues, but not to endorse any particular view or activity. Any views expressed in this news item are not necessarily those of IvyRose Ltd.. Material in this item includes information released by the UK-based source listed below on 12 November 2012 and may have been edited (e.g. in style, length, and/or for ease of understanding). For further information, please visit their website.